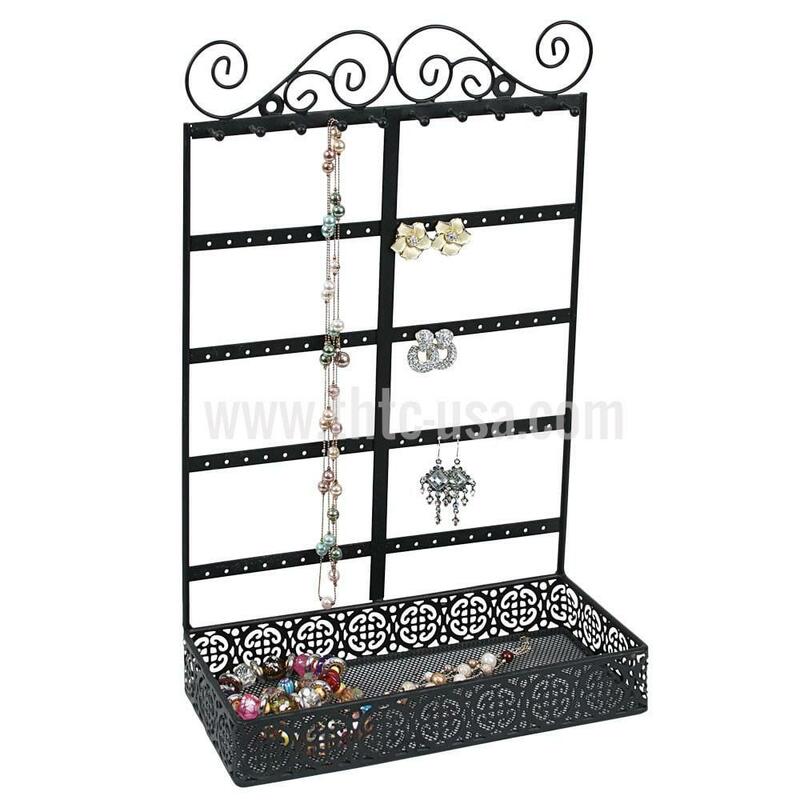 Combination Necklace/Earring Display Stand W/Tray. 10 1/4" X 4 1/2" X 16" H. Stand has 10 pegs to hang necklaces. Will hold up to 36 pairs of earrings. Black metal.